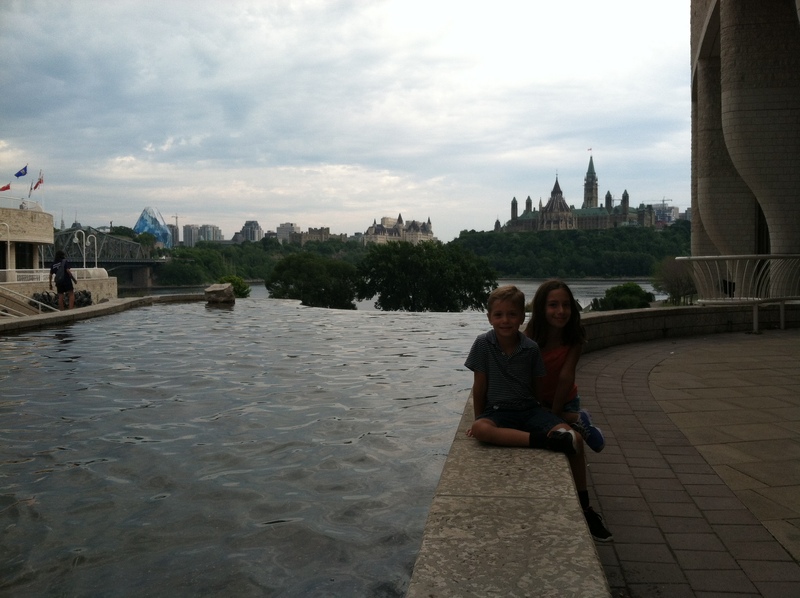 Just across the river from Ottawa, Ontario, a visit to the Canadian Museum of Civilization in Gatineau, Quebec – if only to experience its exterior and Grand Hall architecture and design – is well worth it. 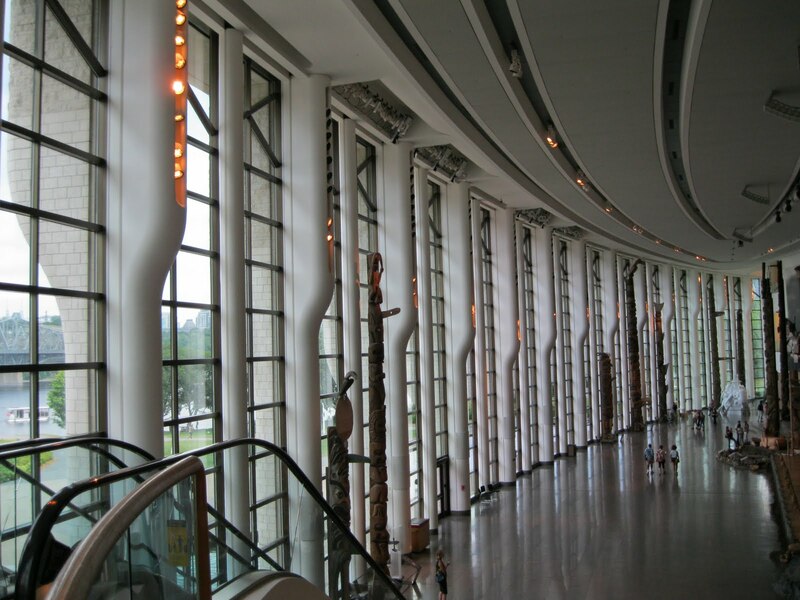 The museum’s limestone exterior curving forms represent the outcropping bedrock of the Canadian Shield. 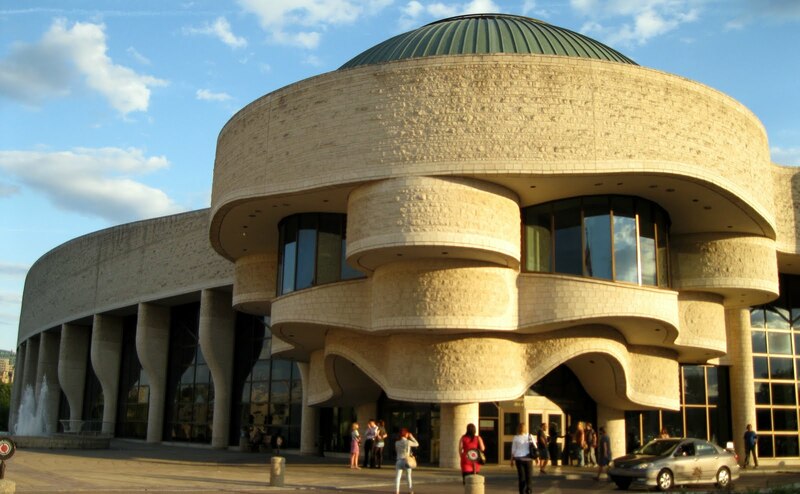 The Canadian Museum of Civilization, opened in 1989 and overlooking the Ottawa River and Parliament Buildings, was designed by landscape-inspired architect Douglas Cardinal. 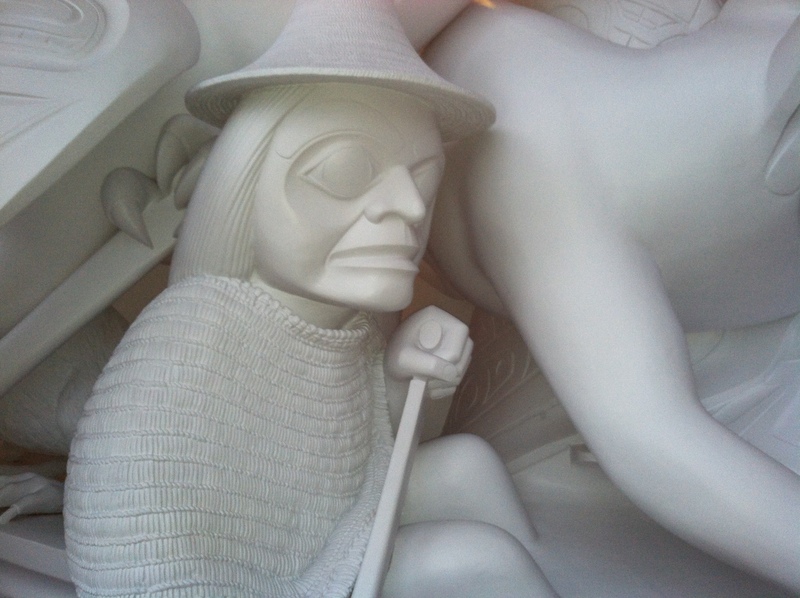 Without a single word, it tells, or rather shows, visitors stories of Canada’s history, its native people and culture. 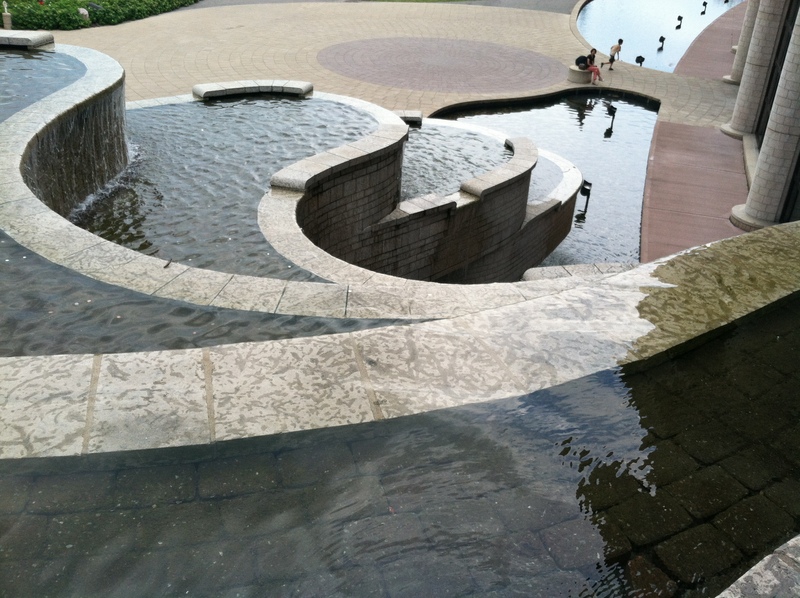 In his Design Statement, Cardinal wrote that the building would “speak of the emergence of this continent, its forms sculptured by the winds, the rivers, the glaciers.” Four natural features are abstractly represented in the Museum’s form: the Canadian Shield, the Glaciers, the streams formed by the melting glaciers, and the Great Plains that stretched before the receding glaciers. Inside the Grand Hall with views of the outside water elements, look up at the ceiling and you find yourself at the bottom of an enormous canoe. The oars become part of the walls (It took me to two visits to distinguish this). 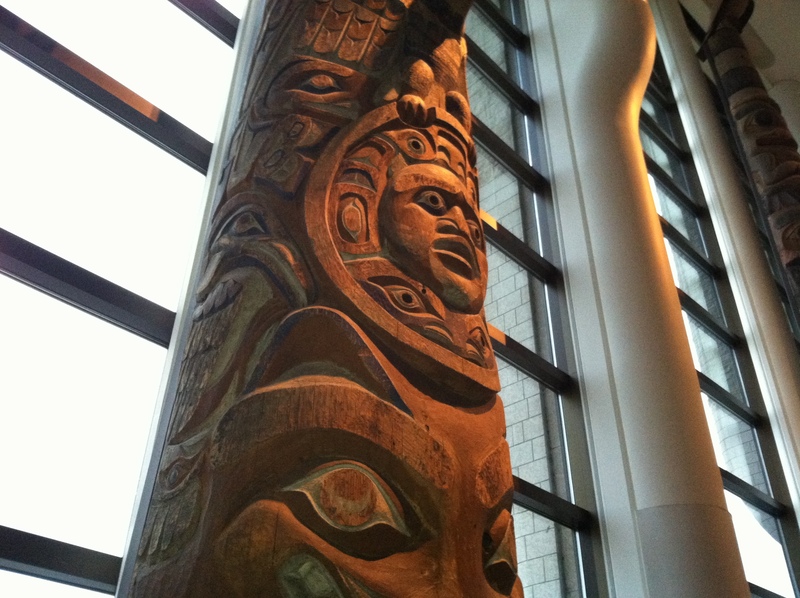 A dozen towering totem poles are placed around the perimeter of the room. 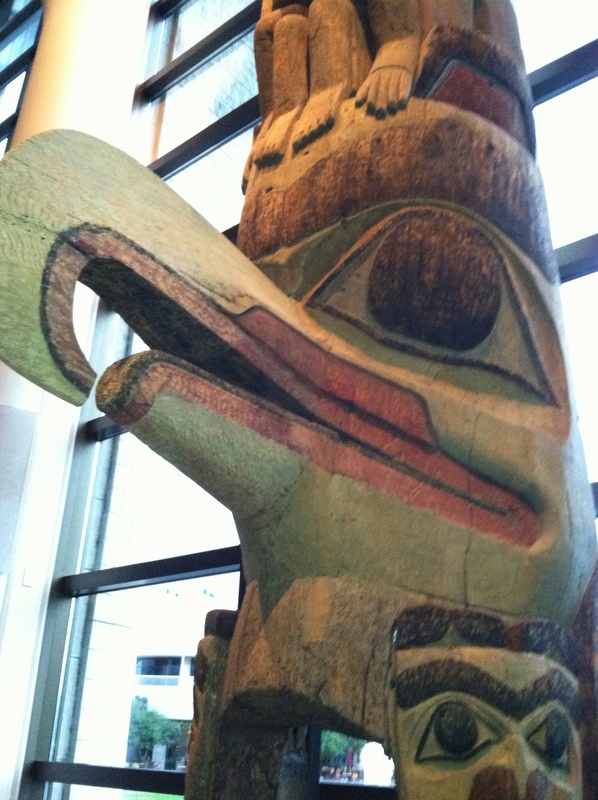 It is said to be the largest indoor display of totem poles in the world. 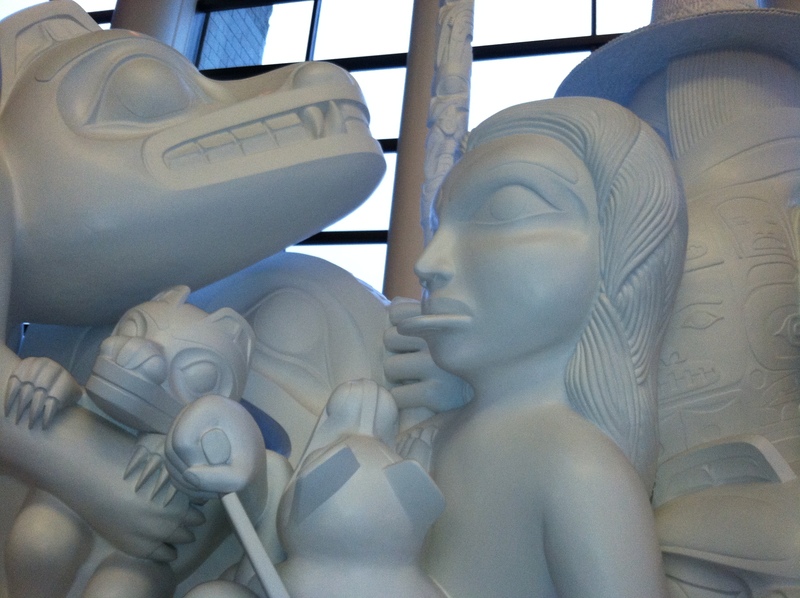 A wonderful sculpture located in the Grand Hall , the Spirit of Haida Gwaii by British Columbia artist Bill Reid, represents the Aboriginal heritage of the Haida Gwaii regions in Canada. 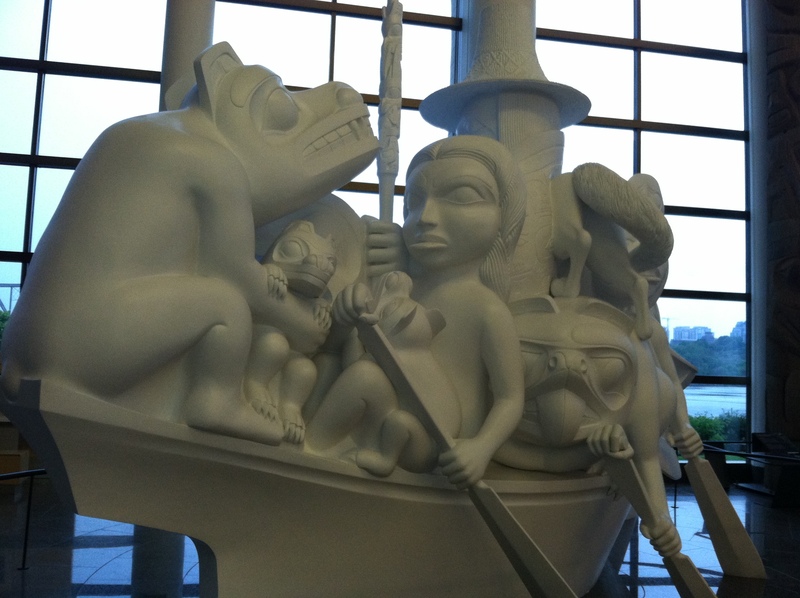 Per wikipedia, it features Haida mythological figures in the canoe that represent the natural environment on which the ancient Haida relied for their very survival – the passengers are diverse, and not always in harmony, but depend on one another to live. 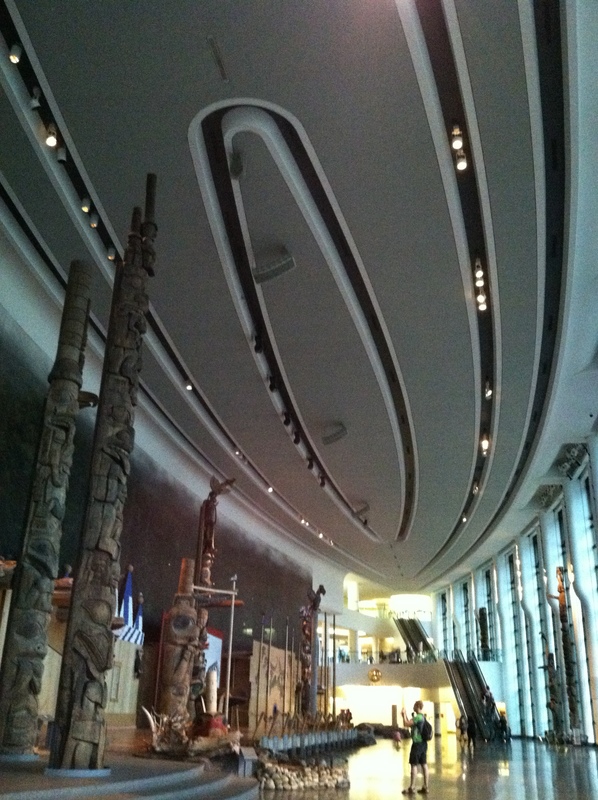 While the museum’s main collections – particularly the First Peoples Hall – are vast and satisfying and revealing of Canada’s history , an interesting hands-on Children’s Museum is also housed here where young ones can receive a “passport” and experience different world cultures (a ride on the Pakistani Bus was a favorite). To learn more, you can visit an architectural tour slideshow featured here on the museum’s web site.